sharing ideas for making beautiful cards! Sale-a-Bration is finally over. I sure loved all the great deals Stampin’ Up! offered! But they always come up with something new I can’t resist!! 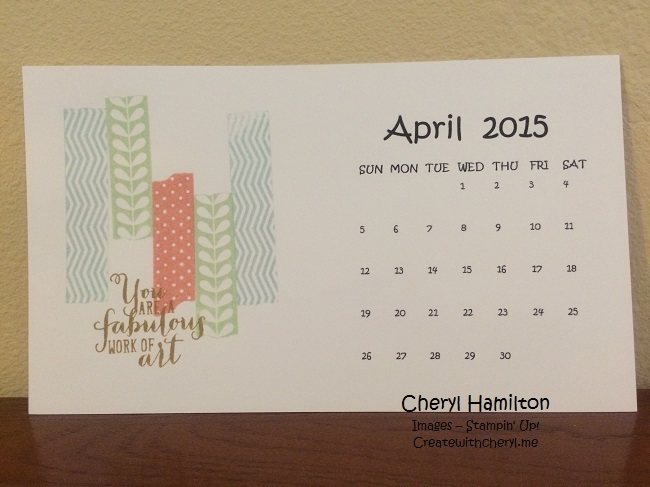 My April Calendar uses a fun stamp set called Tape It! I love all the ways this set can be used! The sentiment is from another favorite set: Work Of Art! Boy, is he keeping us busy!! Such a cutie!! 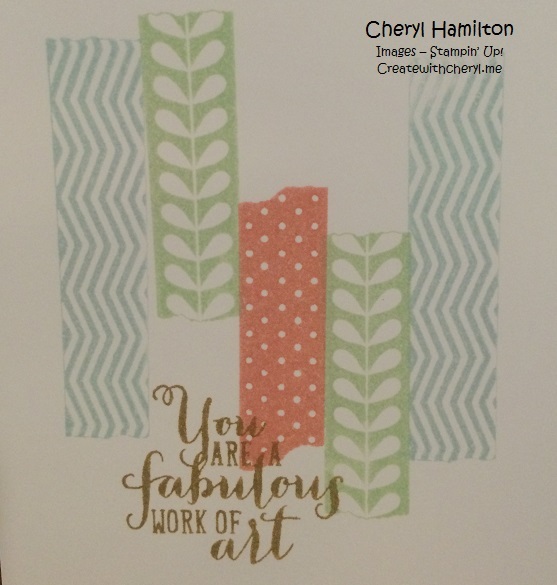 This entry was posted in Calendars, Stampin' Up! and tagged Tape It, Work of Art by createwithcheryl. Bookmark the permalink. Lovely use of the tape it washi stamp set! 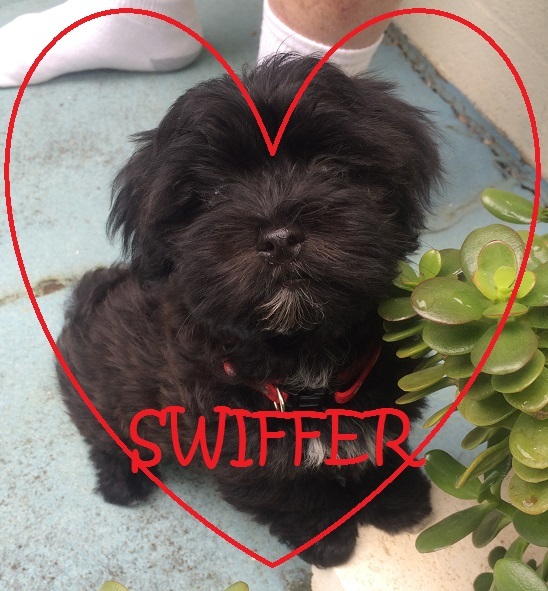 Swiffer is totes ADORABLE!! What kind if pup is he? He’s a Havanese puppy. Supposed to be hypoallergenic because Pat has pet allergies. His coat is like thick, wavy hair, not fur. Thanks Kerry!